The climate control system measures inside and outside temperatures, and sunlight. It then sets temperatures inside the passenger compartment accordingly. 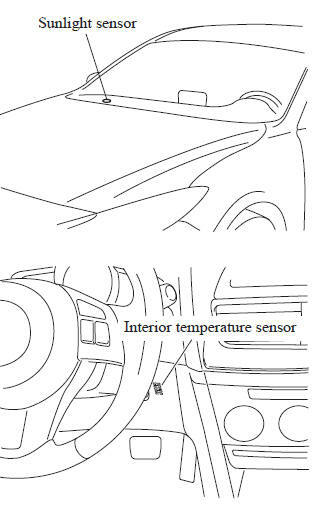 CAUTION Do not obstruct either sensor, otherwise the climate control system will not operate properly.